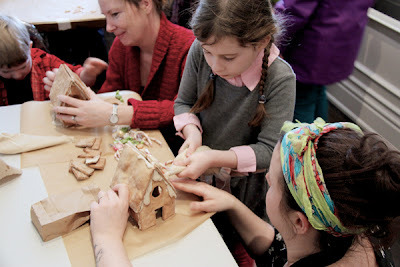 Have you ever wanted to relive your own Christmas wonderland by making gingerbread houses or wondered if there was somewhere in the city you could take a niece/nephew/sister or brother? 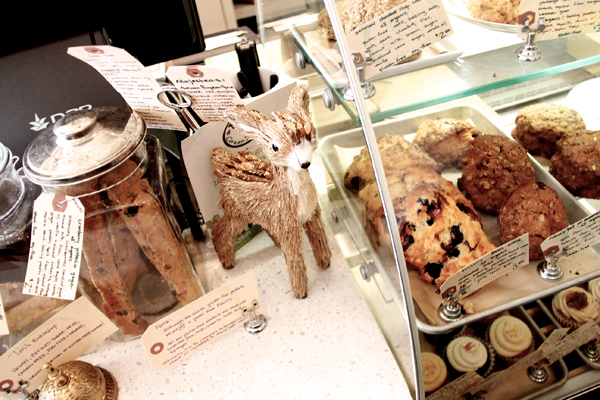 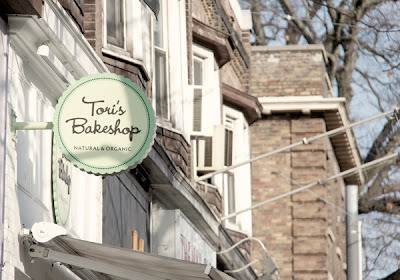 Well look no further, because Tori's Bakeshop (2188 Queen Street East) has provided just the perfect holiday treat. Every Sunday from November 25 to December 23, 2012, you can build your own vegan gingerbread house at Tori’s Bakeshop. 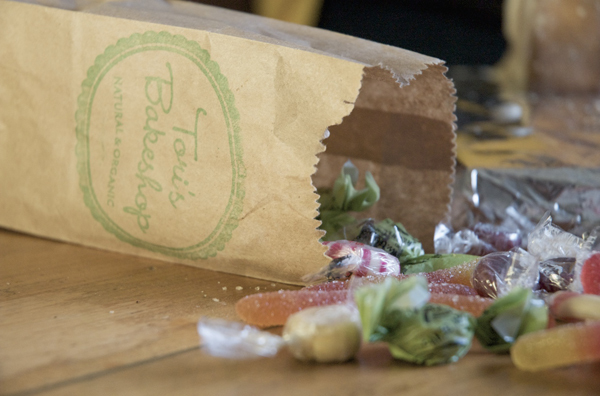 Along with the usual gingerbread house building supplies, Tori Vaccher (namesake to Tori's, who we first visited back in September) has provided a large variety of organic and vegan candies including gummie worms and butterscotch toffees. 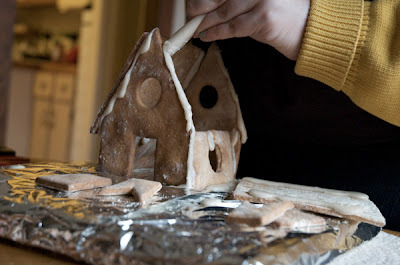 It's hard to pass up not wanting to put one together yourself. 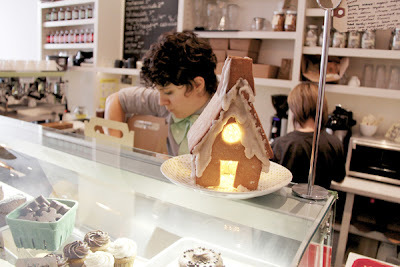 So in the spirit of the holidays, little red photographer Yuli Scheidt and I did just that. Alas, the kit (the cost of a house is $12 — more details provided below) does NOT include a child helper. 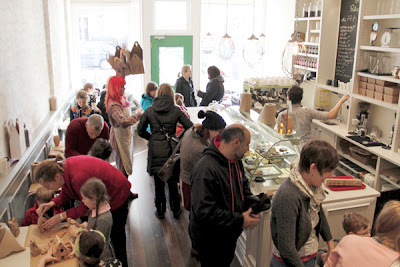 So our own creation didn't turn out as vastly wondrous and grand as some of those in-store by the children. 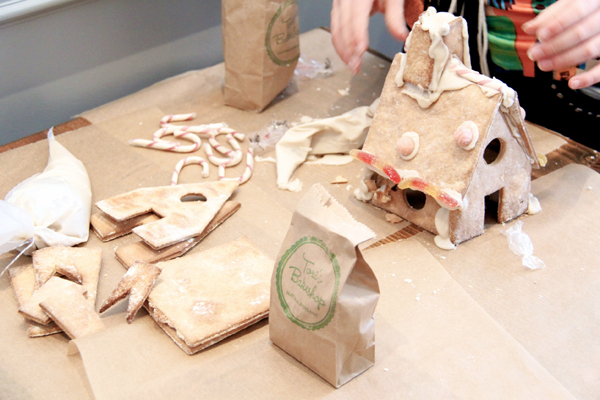 As mentioned, the Gingerbread Workshop is taking place every Sunday until December 23, from 1pm—4pm. 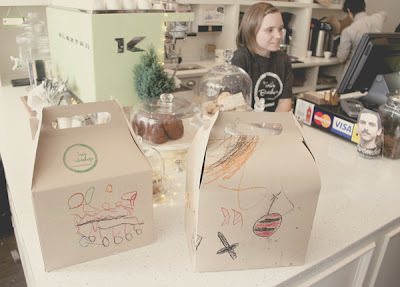 Each kit costs $12 and includes a free hot chocolate, take-away box (to colour), gluten-free gingerbread house, natural icing and a decorative tree. 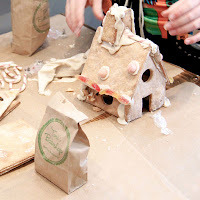 Gingerbread house kits will also be available for purchase to create at home (like Yuli and I did), should you be feeling adventurous. Tori's also features tons of other vegan and gluten-free holiday treats over the season, which she has mentioned have been inspired by her childhood. These treats have included: shortbread, eggnog cupcakes and peppermint patties, to name a few. Call to enquire about how to get your own Gingerbread Kit and relive your own childhood through Tori's Bakeshop (647) 350-6500.